Ballmer In his keynote address at the Consumer Electronics Show (CES 2011) in Vegas, announced Avatar Kinect for Xbox 360. Avatar Kinect uses Kinect’s camera and sensor to bring a player’s avatar to life. 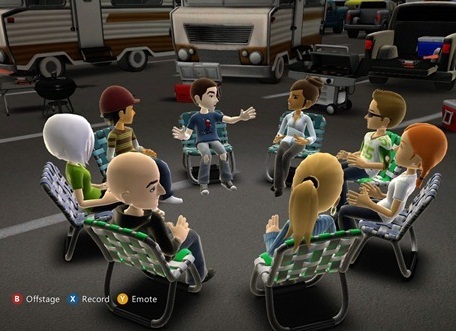 With Avatar Kinect, a player can invite up to seven friends to join them in one of 15 imaginative virtual environments, including a stage or a tailgate party. What’ makes it so great about is that it will even recognize your face, your expressions, your smile, or when you give the stink look, when you are talking to friends, and so on. it is only available to Xbox LIVE Gold members only, Avatar Kinect will be available as part of a new Xbox Dashboard update in Spring 2011, along with Netflix and Hulu Plus with Kinect support. So you know now, being Gold has its advantages.